It was such a tease. The rumblings of harvest mode, the awakening of dormant muscles – and then nothing. 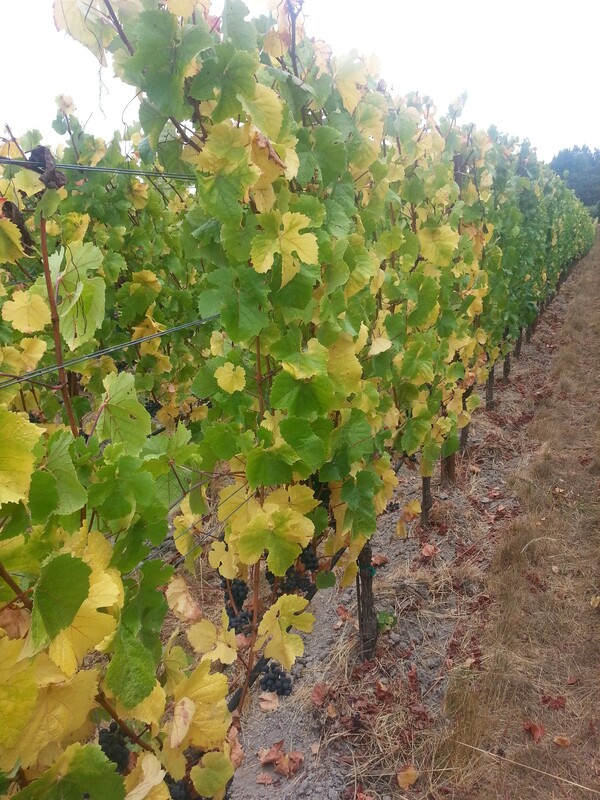 With 30% of our pinot noir and a solid chunk of chardonnay in the winery, we stopped harvesting abruptly. Suddenly the warm weather turned cooler. The sun’s arc began its annual slant. Coastal vineyards stopped getting above 80 degrees for more than a couple hours a day – not great for concentrating flavor at the end of the ripening season. 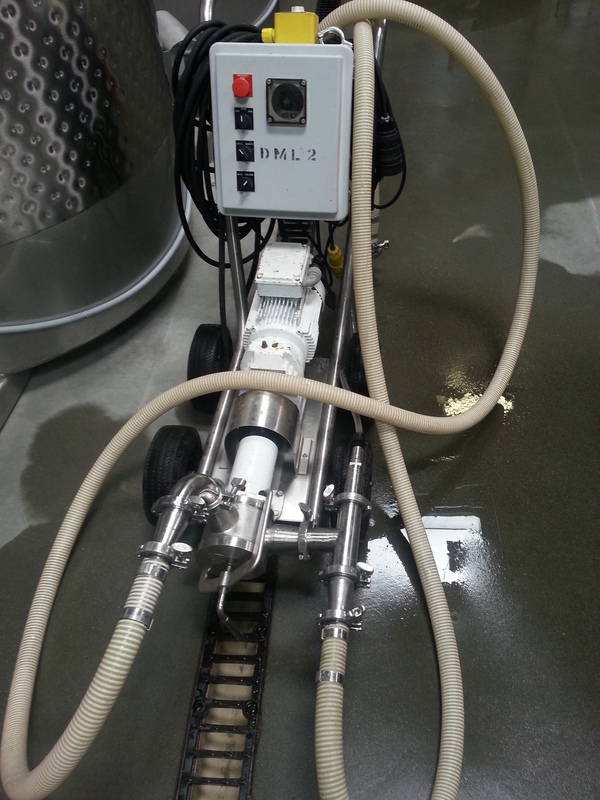 We measure a grape’s sugar ripeness in the vineyard and transformation in the ferment in degrees Brix. One degree Brix corresponds to 1 gram of sucrose per 100 grams of the liquid present in the solution. Because sugar becomes alcohol in the course of fermentation, Brix tell us what alcohol we can expect in our finished wine. Winemakers have different ideas about when a grape is ripe and many distinguish between sugar ripeness and flavor ripeness. 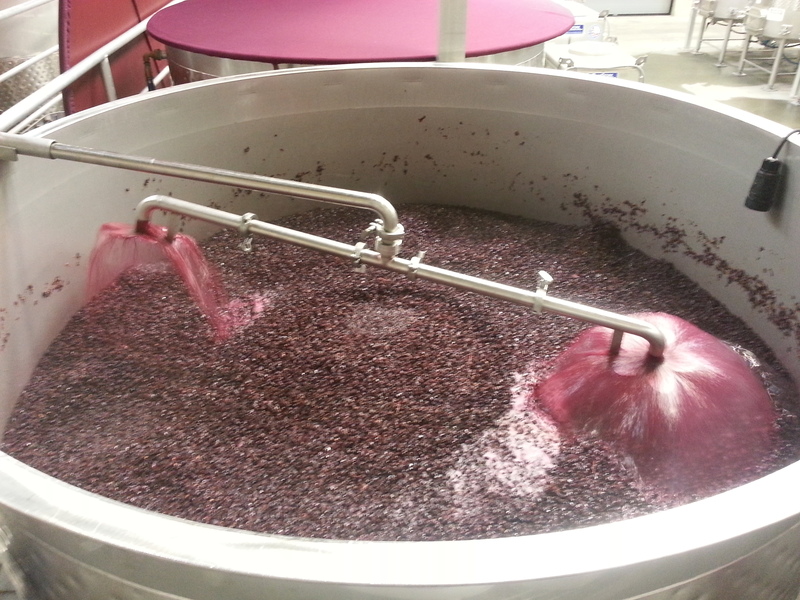 Grapes at 25 Brix will produce a finished wine of 13.75%. For some grapes and vineyards and winemakers’ tastes, that’s ripe. On the other side of the spectrum, fruit at 28 Brix will make a wine over 15% alcohol. These days, that’s considered a riper style. A decade ago, that’s what a lot of California wine looked like and there are still plenty of wineries pursuing that style, with a wide range of results and practices. I hate writing in such broad terms about this, but it’s hard to be both thorough and synoptic about such a defining feature of the industry. Zinfandel and cabernet sauvignon, for example, need to be riper in sugar for their flavor profiles to be right. But when is too ripe? Huge question. Another time. Until about 22.5 Brix, the grape’s sugar content is climbing because the berry is growing; after that, sugars climb because of dehydration. This is why it’s really important to have heat and sunlight right through the end of harvest to concentrate flavor and bump the sugar into the sweet spot. And just like that, people started getting nervous. Warm but not hot days. The onset of cold nights. Leaves began flushing with autumnal yellow. Pretty, but a little premature and a sign of shutting down for the season, with all that fruit still out there. As a barometer, Dutton Ranch, Sonoma’s grape farming machine, had no picks scheduled for a week. Everyone stopped to hold their breath. Maybe not everyone – I know plenty of people who haven’t had a day off in a couple of weeks. It all comes down to where your vineyards are and what your winemakers have in mind. So what did we do? We tended our ferments. And tended and tended and tended. We pumped over, punched down, inoculated some lots and kept our hawk eyes on the native ferments. All the fruit is coming in so cold this year – sunrise has found Sonoma County in the 40-degree range – that wild yeasts present on the grape skins seem reluctant to kick off and some commercial yeast strands have been turning their noses up at the cool temperature. 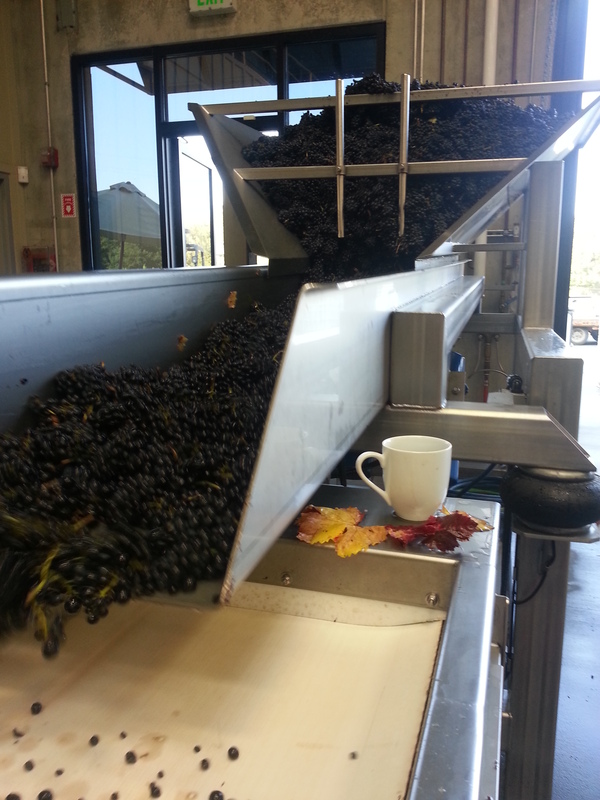 So we did what wineries do – Tetris, troubleshooting, exercising patience, weathering the discomforts of the unpredictable, reacting in response to every ferment’s respective charted course. one of our impeller pumps. check out the shock absorber on the inlet – the steel T-shaped fitting. Lets you shut the valve and keep the pump going for a hot minute without ripping a hole in the space-time continuum. This holding pattern was startling. And where are we now? We’re picking every day for two weeks. Here comes the sun.